YouTube's annual rewind video went live last night, showcasing 12 months of growth, trends and creativity on the video platform. The video clocked in at just over eight minutes and was titled 'everyone controls rewind', which seemed to imply that YouTube has listened to what it's community wanted. The Rewind opens with actor-turned-YouTuber Will Smith. Smith is a household name in entertainment and so it's no surprise that the platform favoured him. It also nods towards the other celebrities that have taken a more active role online this year, including The Rock, Tenacious D and Jimmy Fallon. The first section of the video features a YouTube version of Fortnite's battle bus, commandeered by none other than Twitch personality Ninja. It's difficult to ignore Ninja's success this year, but the cyan-topped streamer barely classes as a YouTube creator. Another chunk of the video is also set in a forest. While there is no way this choice can correlate to Logan Paul's forest controversy, it still feels like a poor design decision. This scene led into a celebration of K-Pop on the platform. 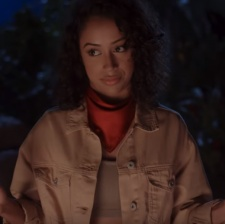 Stars seen in the 2017 rewind video returned for 2018's, including Casey Neistat and Liza Koshy. It also saw the inclusion of a lot more science-based creators such as Simone Giertz and ASAP Science, alongside animation channels like TheOdd1IsOut and JaidenAnimations. YouTube's initial growth is owed to the popularity of animation videos on the platform so it's great to see a nod to them. This year's Rewind did have a nice change of pace towards the end. It took a moment to commend creators focusing on mental health, education and diversity, before launching back into a Fortnite flashmob and a remix of the aggravating Baby Shark song. A stark reminder than memes are still more profitable than helping people. There seemed to be fewer creators featured this year too. There was also a distinct lack of UK creators compared to last year's effort. This may be owed to However, there was no sign of the Paul brothers or PewDiePie, which seems to suggest YouTube has a vague idea of who they shouldn't honor in their celebrations. Additionally, not all of the creators featured in the Rewind were satisfied with the final cut. Gaming YouTuber Lachlan tweeted his disdain at taking a 15-hour long flight to participate in the video, to then have his lines cut from the final version. However, YouTube head of Gaming Ryan Wyatt was quick to respond to the tweet and apologise for the inconvenience caused. Check out the Rewind below.